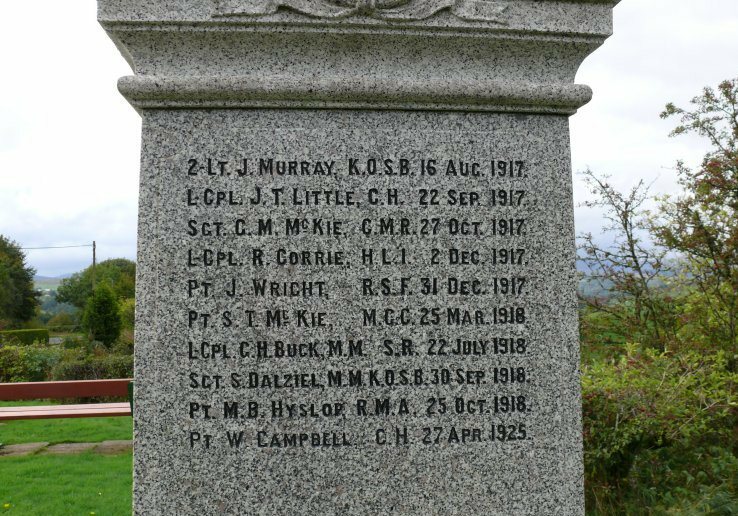 Legacy of War – Memorials to those who never recovered from their First World War service. We have found that commemorations of those who died of the effects of war after the Armistice of 1918 are not unusual, and that those who never fully recovered from their war service are frequently commemorated alongside those who died fighting during the war. On the memorial to Belle Vue Zoological Gardens’ staff in Gorton, Manchester, the inscription distinguishes between those ‘killed in active service’ and those who ‘died from effects of war’. Six members of staff are recorded as dying as a result of the effects of their war service, including Private Bernard A Hastain of the Rifle Brigade, a scene painter of patriotic firework spectacles at Belle Vue, who died of the effects of his wounds in the 1930s. There is no strict rule which dictates that only those who died during wartime are commemorated on war memorials and there is no cut-off date. The names on the Balmaclellan memorial in Dumfries and Galloway, Scotland, are listed by year of death. The last First World War name on the memorial is that of Private W. Campbell of the Cameron Highlanders, whose date of death is recorded as 27 April 1925. The names on this memorial cover a ten year period of casualties from 1915 to 1925. Memorials also show us that it was not only serious wounds that shortened the lives of the survivors of the First World War. In St Margarets, East Hertfordshire, a plaque in the Chapel of the Blessed Virgin Mary commemorates Philip Reginald Croft who ‘died February 25th 1923 in Jamaica of heart disease contracted while serving overseas with the 4th East Anglian Brigade, Royal Field Artillery, during the Great War’. 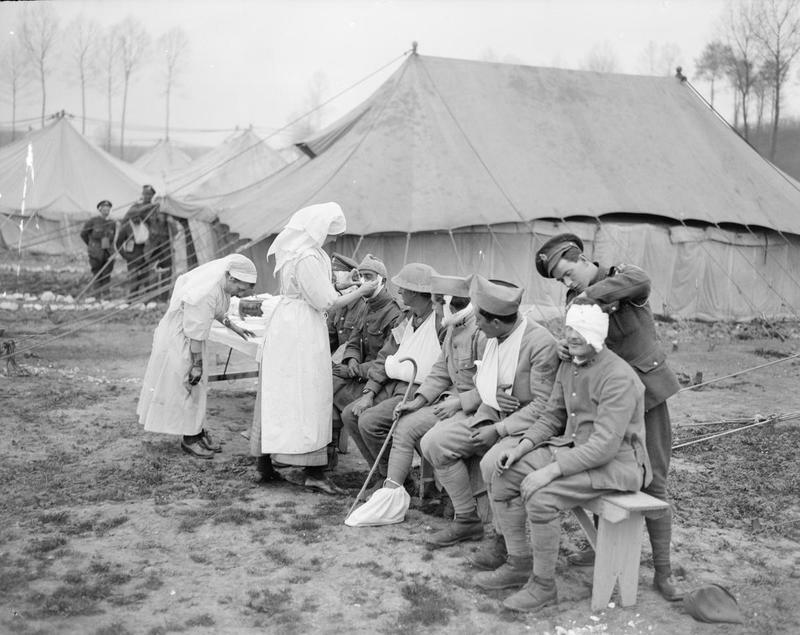 Nurses too, found that their war service profoundly weakened their health. The memorial to Sister Grace Evans in Eglwys St Tysilio, Cwmtydu, Wales, records that she ‘died at Johannesburg November 16th 1930, as a result of war services in East Africa during the Great War, 1914-1918’ . Significantly, it was often veterans of the war, many of whom had sustained grievous injuries, who were invited to unveil war memorials. In 1921 at Stalybridge in Greater Manchester, Pte Joseph Lowden, who was blinded in the war, laid the first wreath on the memorial at the unveiling ceremony. Over 40 years later in 1963, an inquest at Stalybridge was told that his death at the age of 78 was ‘partly attributed to war injuries’ as he had ‘little bits of shrapnel scattered about his lungs’, a legacy of his war service 47 years earlier (Stalybridge Reporter, 4 March 1963). Such a man was Harry Patch, the last British soldier to have seen action in the trenches of the First World war who died at the weekend. His portrait is currently found on the London Underground advertising the BP Award, and his regiment, the Duke of Cornwall’s Light Infantry, is commemorated on a war memorial at Bodmin. Following Harry’s death Prime Minister Gordon Brown announced plans for a memorial service, to take place later this year, to commemorate the generation that fought and died in the Great War.